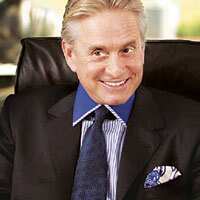 Actor and producer Michael Douglas has been branching out into comedy recently, playing eccentrics in films such as The In-Laws and You, Me and Dupree. He recently starred as a man on a quixotic quest for Spanish gold in the comedy King of California. But Douglas remains best known for his roles in dark thrillers, such as Basic Instinct and Fatal Attraction, and his villainous characters in movies such as Wall Street. Below, his favourite film noir style movies. Sunset Boulevard, 1950: This Academy Award-winning Billy Wilder film, about a young screenwriter and a faded silent-film star, “has a very long shelf life," Douglas says, calling it a timeless portrait of Hollywood. Ace in the Hole, 1951: Another Billy Wilder film, this movie centres around a corrupt reporter, played by Douglas’ father, Kirk Douglas, who prolongs the rescue of a trapped miner in order to get a better story. It shows “the dark side of our personalities," Douglas says. The Night of the Hunter, 1955: An adaptation of a Davis Grubb novel, the film stars Robert Mitchum as Harry Powell, a former inmate who marries his cellmate’s widow under false pretences, and then kills her. “It just terrified me," says Douglas, even though the film isn’t “overtly violent". A Clockwork Orange, 1971: “A great juxtaposition of the most upbeat music to the most violent scenes," Douglas says about this Stanley Kubrick film about a disturbed classical music-loving young man who undergoes treatment for his violent tendencies. The Godfather, 1972: Douglas describes the legendary Francis Ford Coppola film as “operatic". Even in the scenes without violence, he says, “there is an undercurrent".